The darling of seasons, SPRING, has arrived. Flowers are popping up to treat winter weary eyes with their unmatched beauty. One of the first lovelies is the humble dandelion. Just as the majestic lion is the crowned king of the beasts, dandelions are the reigning monarch of SPRING! Recently, I read an article about the woman who brought dandelions, not indigenous to North America, to Minnesota for her famous dandelion bread and other concoctions. 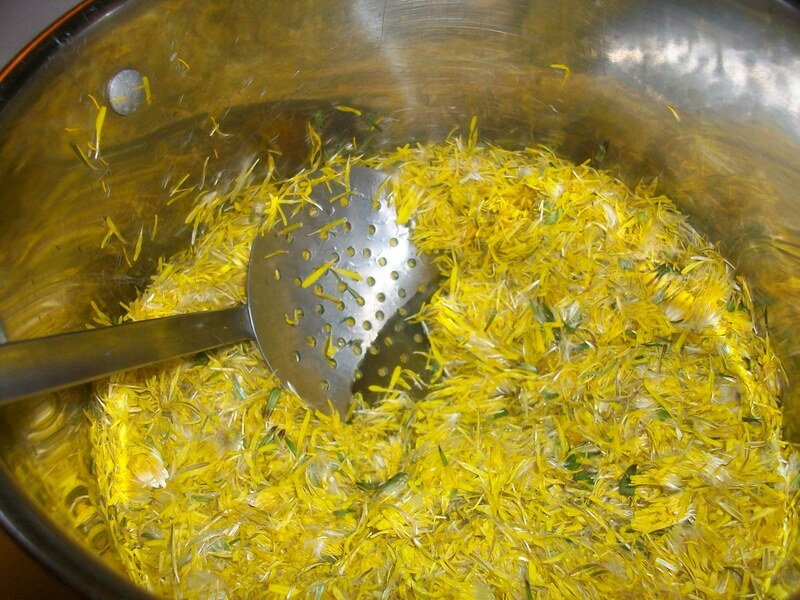 Dandelion bread – who knew? I’ve had dandelion greens in my spring salad green mixes, but the thought of bread opened a whole new world. 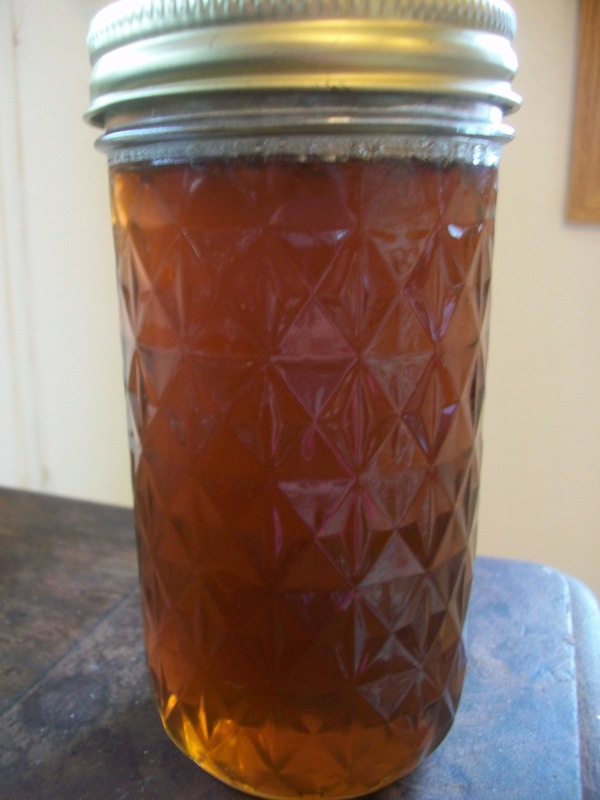 I began to research and found other recipes such as dandelion wine (my grandmother used to make) and jam, but what really caught my fancy was dandelion syrup. I read several references about Swiss grannies in the Alps with jars and jars of dandelion syrup. Now not only was my curiousity peaked, but now my imagination was in full bloom. I had to have some – I became a bit obsessed. If little Swiss grannies can, I can too! Gathering my faithful foragers, we picked a bucketful of the fragrant spring blossoms (fortunately, I’m closely related to some certified organic farmers so I knew where to find the good stuff!). Alas, my busy bee-like boys soon got bored, and grabbed their baseball equipment. Apparently, the romance of gathering spring flowers for sweet and sticky syrup was lost on them. I knew once they tasted dandelion syrup, they would be transformed. Undaunted by their lack of enthusiasm, I acquiesced and joined the ball players. Even though I was stuck in the outfield, I managed to continue to pluck a few more dandelions and chase the occasional ball that came my way. In the end, we had a ton of fun and my bucket of flower heads was full. Then came the work of separating the petals – this was fairly easily managed with a knife. I covered the blossoms with filtered water, boiled for the designated amount of time, turned the heat off and let steep overnight. 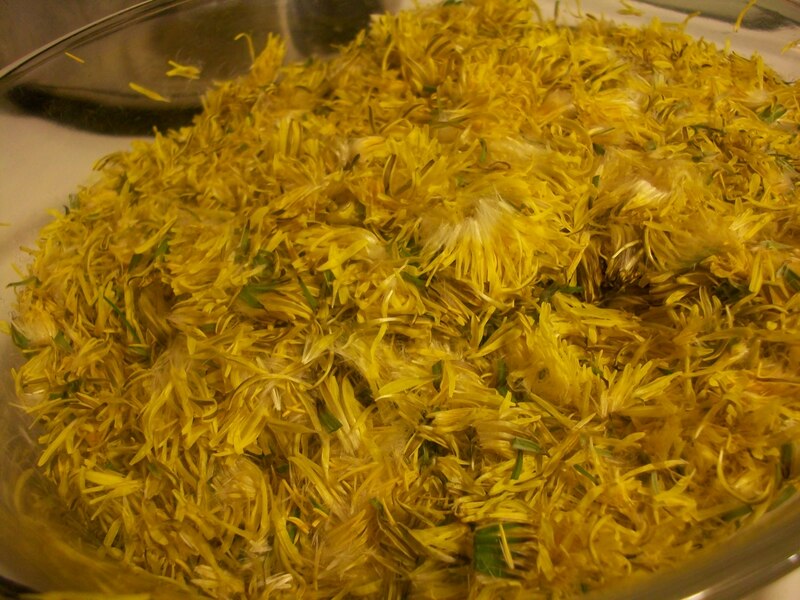 In the morning, the mixture was strained and I was left with a yellowish, dandelion blossom tea. 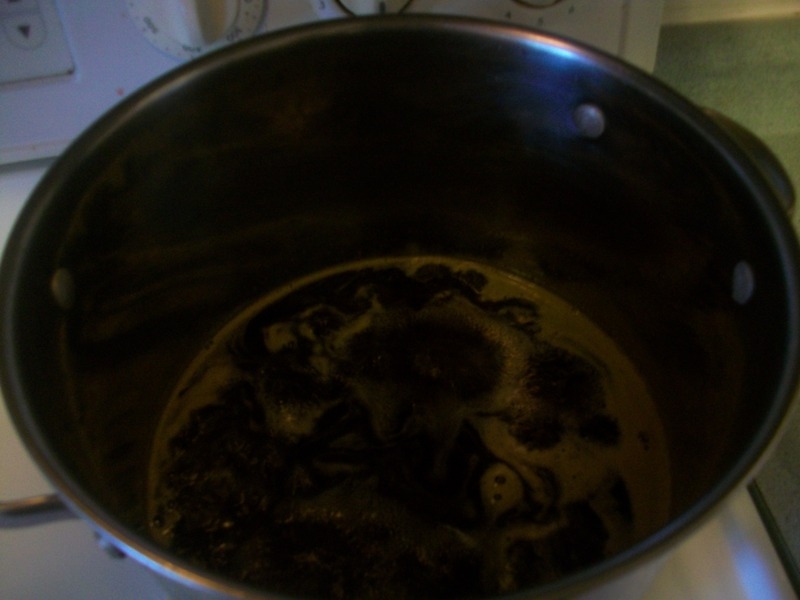 I added sugar and some lemon juice, and the mixture was simmered for about 3 hours. The end result was a unique and special syrup rather honey-like in taste. 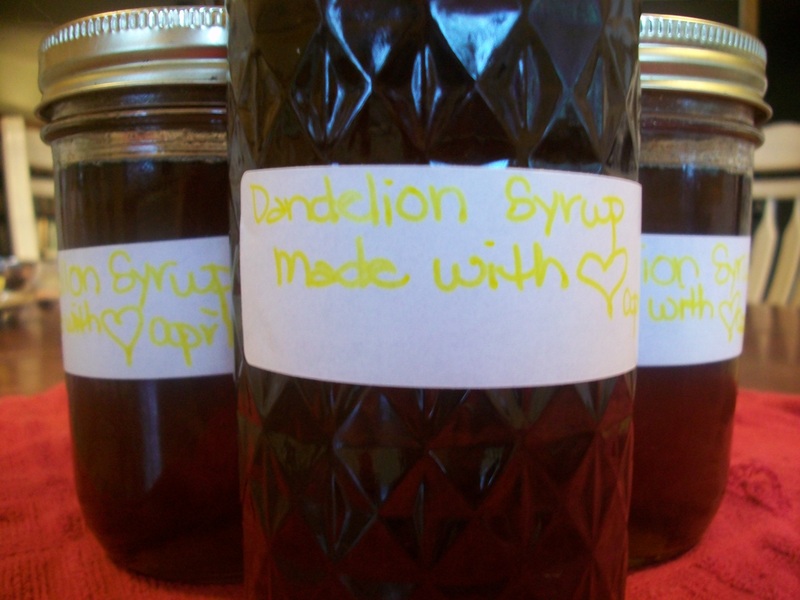 Dandelion syrup is a delightful addition to warm cornbread or wheat germ pancakes. I’m excited about the possibilities; a whole new world has opened up to me. I’m now eyeing the fields of yellow dots of sunshine with a fresh point of view (my taste buds). Dandelions, the reigning monarch of Spring, have found a new and sweet place in my heart!